Ever notice how you just get up and start dancing to your favourite tunes? Or been to a concert and wanna start jumping? It’s amazing what power that music has over us, where we just feel swept away and need to start moving! Sugar Swing is here to help you learn a few new cool steps, and discover a new style of dance that have caught your eye. Most importantly, we are here to make it FUN! Being beginner-friendly, socializing and community is integral to who we are, and we believe dancing should perfectly combine incredible music, art, and a fun atmosphere. Come join us! On Friday, January 11, come test the waters at a FREE Friday night dance social with several short classes. 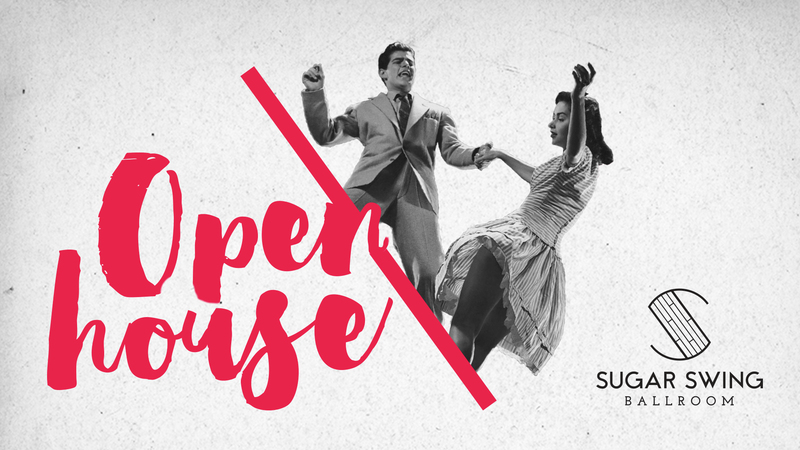 This is an evening of mainly social dancing, 20-30min lessons, and demonstrations, along with free snacks/drink, socializing, Q&A. Ready to jump right in? Sign Up for our classes at https://www.sugarswing.com/register today! We offer a variety of classes including House, African, Caribbean, Jazz, and Afrobeats. We are known best for our Tap classes and Swing classes, with our beginner series for Swing, Tap, and Sweetheart Swing being quite popular. Already a regular of Sugar Swing? Spread the word and bring a friend. Catch up with some familiar faces and let our new comers know why this is the place to be! * Complimentary refreshments will be provided. NOTE: No partner necessary! All ages! Beginner friendly! Many people are in their 20’s and 30’s, though we consistently draw individuals of all demographics and ages! In general, we follow the lineage of Jazz style dances (Tap and Swing) to African, and into urban styles like House. We have a deep regard for many African-American pioneers and authenticity within each dance form. We also host weekly swing dance socials on Friday nights and Saturday nights. Plus, our dancers in Mad Cat Swing teach and perform throughout the city. The space we lease may also be rented, as it is certainly a beautiful wedding venue! We need help for all our dance socials on Fridays and Saturdays, and more! Please contact our organizer (dance@sugarswing.com) if you would like to help at the bar or the door for any of these dances! Also, join our “Sugar Swing Volunteers” Facebook group! Free angle parking lot along the East-side of our building, and free parking along the streets.